Struggling to get through the 3pm afternoon slump? Not sure if you need a coffee, a sugar hit, or even a stiff drink? 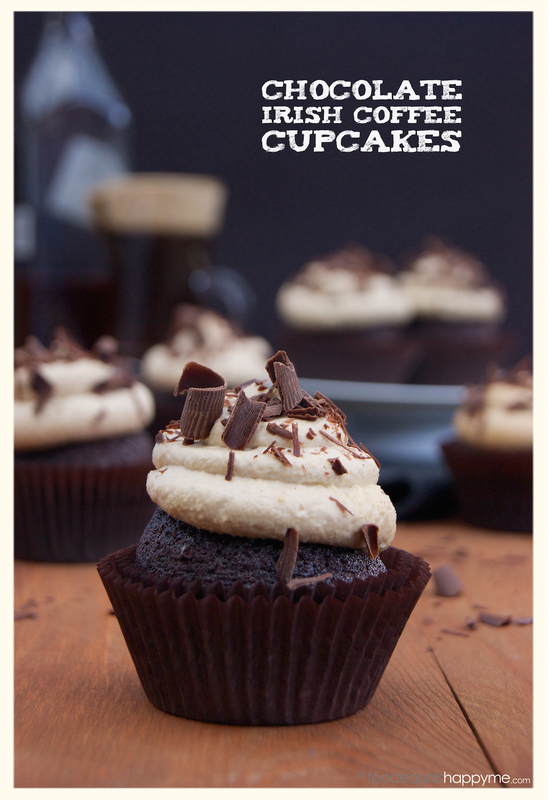 Well I’ve got the answer, Chocolate Irish Coffee Cupcakes. Chocolate, coffee, and whisky, do I really need to say more? 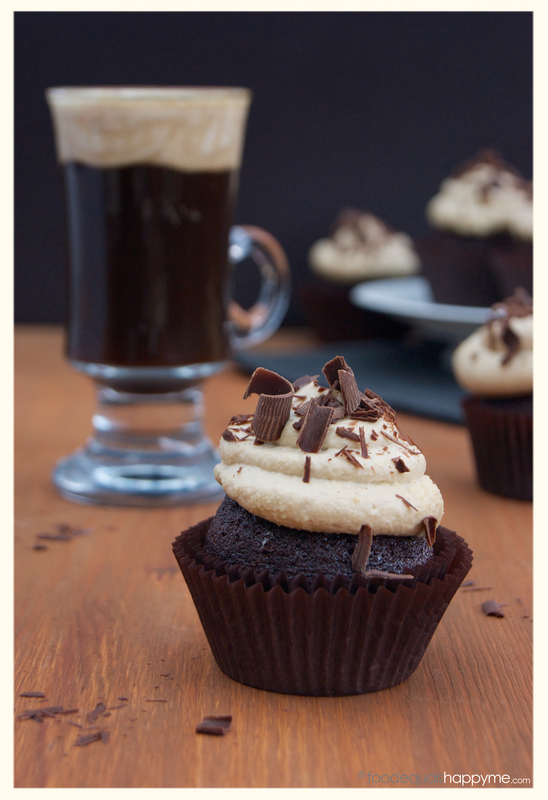 A luscious chocolate coffee cupcake, topped with a pillow of whipped Irish Coffee cream. 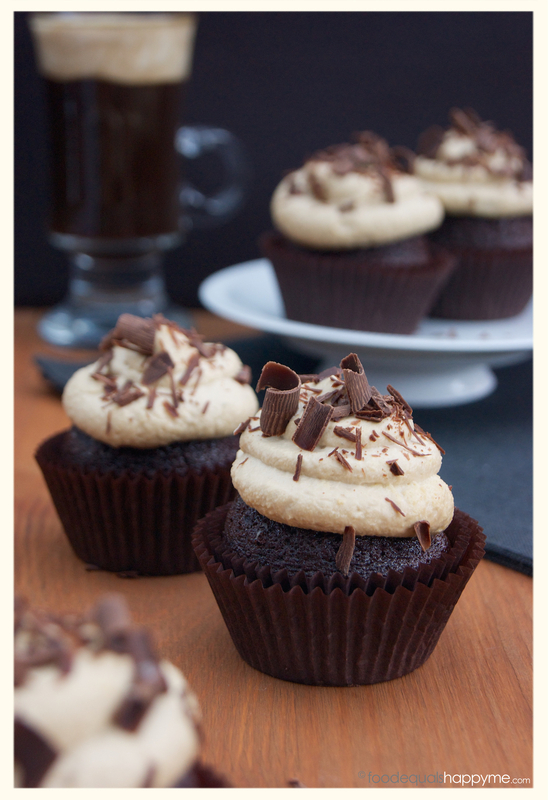 Just perfect to get you through the afternoon, or really, just anytime you need one! Preheat the oven to 180 degrees c, and line two 12 cup patty tins with patty cases. Place the flour, sugar, cocoa, baking powder, baking soda and salt in the bowl of an electric mixer fitted with a whisk attachment. Briefly mix on low speed to combine the dry ingredients. Add eggs, milk, oil and vanilla, and whisk on low speed for 5-6 minutes or until the mixture is thick and creamy. Next, whilst the mixer is still running, slowly add the coffee and whisk until the mixture is well combined. Note that it is quite a loose batter. Transfer the mixture to a pouring jug to make it easier to fill the patty cases. Pour the mixture into the cases, filling each one about 2/3rds full. Bake the cupcakes for 17-18mins, or until cooked when tested with a skewer. Remove from tins and leave on a wire rack to cool completely. To prepare the Irish coffee cream, dissolve the espresso granules in the whisky, and then place in a mixing bowl along with the cream and brown sugar. Whisk the cream until medium peaks form. Transfer the cream to a piping bag and then pop it in the fridge to chill until pipe-able. 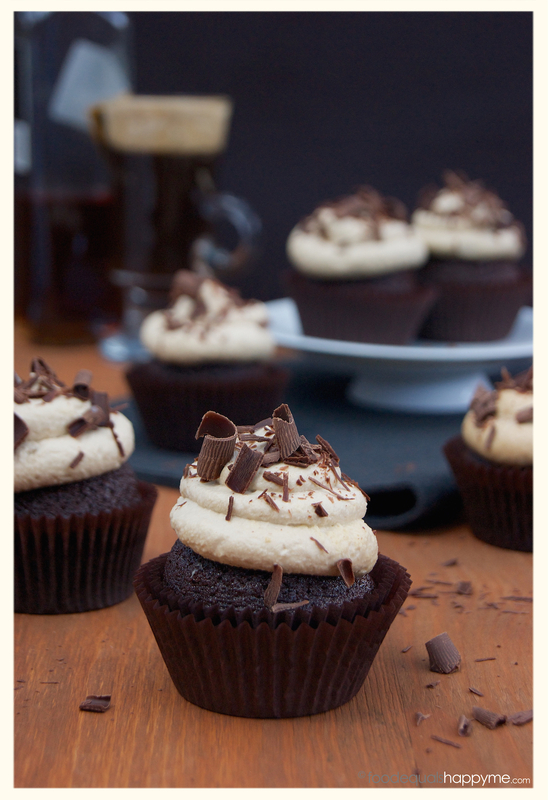 To assemble, pipe a generous swirl of the Irish coffee cream onto each of the cooled cupcakes, and then sprinkle with chocolate shavings (you can use an ordinary vegetable peeler on a block of chocolate to make the shavings). 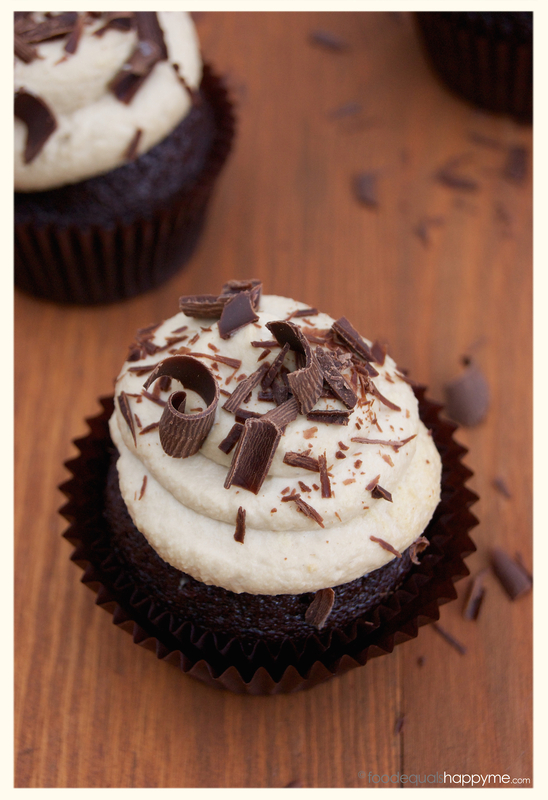 The cupcakes store well in the fridge for up to 5 days, if they last that long. 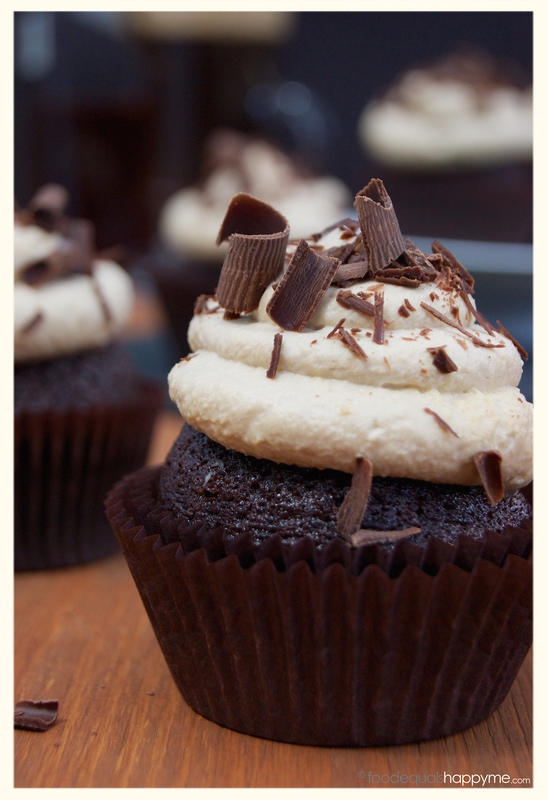 Your pictures of cupcakes tempts me!! Brown sugar contains molasses, therefore I love the rich color and flavor. These looking absolutely delicious and enticing! Can’t wait to try the recipe! Coffee and Chocolate: ma favorite combo !